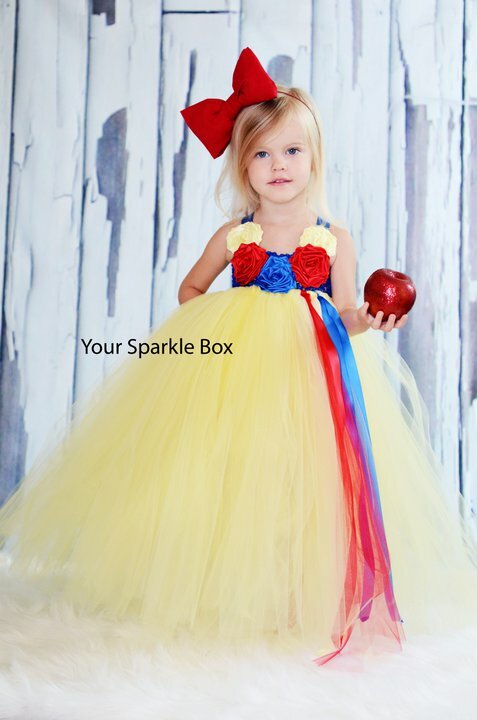 The perfect Snow White Dress for a party! Comes with a matching satin oversized bow. Turnaround time for custom dresses is 4-6 weeks, but during peak times, can be extended. Please see the current shipping times in the menu to the left prior to placing your order.